With the scrutiny of employer group health plans on the rise, it’s important for employers to be familiar with their obligations under HIPAA’s privacy and security rules. The Department of Health and Human Services is actively enforcing HIPAA’s rules and regulations – usually in response to privacy complaints, but sometimes just by selecting employers at random – and assessing stiff fines for violations. Because of this, it’s important for all employers to address it to a degree. Learn about the requirements and what your company needs to do to stay compliant. Do you know all the HIPAA privacy and security rules that apply to your organization? If not, join Assurance’s compliance expert Mark Lam as he reviews best practices for HIPAA compliance. Register today! Mark Lam is Vice President of Compliance at Assurance, specializing in creating highly personalized client relationships through consistent communication regarding legislative and regulatory issues. He is responsible for a wide variety of activities, including supporting internal staff and clients with their compliance-related questions and working with Assurance staff on internal compliance projects. 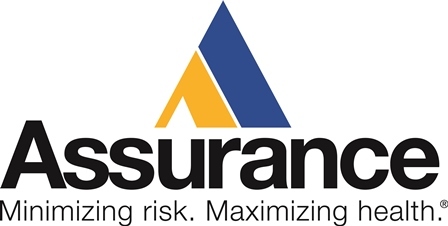 Additionally, Mark delivers seminars and webinars on topics that span the complex web of employee benefit regulations, such as Healthcare Reform, ERISA, HIPAA, IRS, DOL, EEOC, and other federal and state employee benefit regulations.. Before joining Assurance, Mark was a Flex Plans Relationship Manager an independent insurance brokerage specializing in group benefits and voluntary insurance products. While there, he managed relationships on a strategic level for tax-advantaged and consumer driven employee benefits. He was also responsible for IRS, HIPAA and other compliance-related responsibilities. Mark began his career as a Construction Manager for Donatelli Builders, Inc.